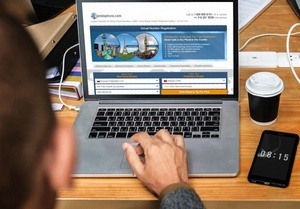 Thailand Virtual Number provides a direct connection to Thailand for business or personal use. Thailand virtual phone numbers are extremely simple to use. A Thailand virtual phone number is a telephone number that isn’t directly linked to a telephone line in the traditional sense. It can ring to any phone in any country you choose. Time of Day Routing is one example of the many included features. You can have your Thailand Phone Number ring to a mobile phone between specified hours in the daytime and then ring to a different number at night or even to a different country. Thailand Call Forwarding to any phone worldwide. Buying a Thailand Phone Number is easy. Use the drop down arrow and choose Thailand in the top left country field. 2 Select the Virtual Number Thailand type of number you want from the drop down list. Thailand Geographic Phone Numbers – Local city geographic numbers are associated with specific regions such as Bangkok, Chiang Mai, Chon Buri or Mobile within the country. Callers can reach these numbers from landlines, mobile phones, pay phones, fax transmissions, and other countries. Thailand National – Thailand National numbers are also called a non-geographic phone number. National numbers are phone numbers reachable from an entire country at the same price anywhere in the country as a local phone call. Unlike geographic phone numbers (which are tied to a specific city such as Bangkok), national phone numbers are not tied to a local area. Thailand Toll Free Mobile Accessible – Landlines, mobile phones, and fax transmissions can reach Toll Free Mobile Accessible Thailand virtual numbers. Thailand Mobile SMS (082) Phone Number – Use a “082” prefix. 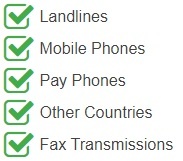 Mobile Phones, Landlines, Pay Phones, other countries and fax transmissions can reach these numbers. If you are located in Finland, you can buy a Finland virtual number that forwards calls to Thailand. Examples of the well known Finland cities and area codes are: Finland, Helsinki 9, Kokkola, 6, Espoo, 9, Turku, 2, Vantaa, 9, Tampere, 3 and Finland Toll-Free. If you are located in Japan, you can buy a Japan virtual number that forwards calls to Thailand. Examples of the well known Japan cities and area codes are: Chiba 43, Kawaguchi 48, Kawasaki 44, Kobe 78, Kobubunji 42, Nagoya 52, Narita 476, Osaka 6, Saitama 48, Tokyo 3, Yokohama 45. If you are located in Spain, you can buy a Spain virtual number that forwards calls to Thailand. Examples of the well known Spain cities and area codes are: Spain, toll free 0900, Madrid 91, Barcelona 90, Valencia 96, Seville 95 and 85. Thailand Virtual Phone Number Enables Call Forwarding. Create a Phone Presence In Thailand. Receive Thailand Calls on Your Phone or Voip Anywhere Globally. Own a private Thailand phone number that instantly redirects callers to your phone in any country. 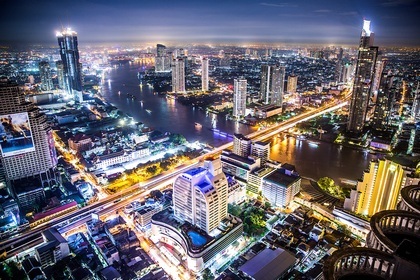 Although Thailand has an advanced telecom sector, none of the Thailand telephone companies (PTT) permit call forwarding beyond the Thailand border. This means if you own or want to own a Thailand phone number and wish to have the Thailand calls divert to another country, you cannot do so using the Thailand telephone company assigned phone numbers. Our service provides a solution to the international call forwarding requirement from Thailand and assists you to own and control a Thailand phone number with global call forwarding capabilities.